It’s a new day. It’s your time to shine! It’s time to take your career into your own hands! You’ve saved money your whole life. Great! Now it’s time to put all your eggs into one basket, and take a huge gamble on your future! A gamble that comes with a 100% chance of success in some cases. What are we talking about? We’re talking about becoming a Fazbear Entertainment franchisee. That’s right! Restaurant ownership and management. Something almost anyone can do with a limited degree of success. Sure, it’s a lot of money to invest, but everyone’s doing it. And that means it’s safe, and lucrative. With your initial investment, you’ll receive everything you need to get started, including: A small room, some tables and electricity. But don’t forget about the money you had left over after buying your franchise package. 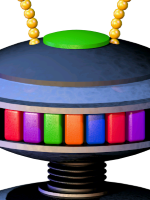 Use it to decorate, buy a stage, buy attractions and animatronics and much much more. Making sure your establishment has an inviting atmosphere is essential to bringing in new customers. Having a lot of entertainment value in your restaurant will ensure that customers come back. Coin-operated games and attractions can generate additional revenue during the day. Which means more money in your pocket, ready for reinvestment! There may be times where you purchase something of questionable quality, and we don’t blame you! Cutting corners is just good business. Being a thrifty shopper is smart, but be aware that buying things on sale comes with a certain amount of risk. -be hiding inside whatever you just purchased with that steeply discounted price tag. Of course, that would only be a serious danger if there were something outside that’s been trying to get in for months now, which we are not confirming to be the case. This concludes the amount of help we are legally obligated to provide. 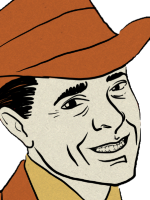 Remember, YOU are now the face of the newly rebranded Freddy Fazbear’s pizza! Wear that smile with pride, and lets make some money! 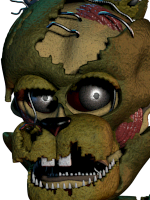 Fazbear entertainment is not responsible for disappearance, death or dismemberment. Lets see how much case you had leftover after purchasing your franchise package. Great! That should be more than enough. Now lets get started! On your left are your product catalogues. You can unlock more expensive catalogues by simply purchasing items for your pizzeria. Use the arrows in the bottom right of the item window to browse the products for each catalogue. When you’re finished shopping, click the button labelled “Blueprint Mode” to place your items. You can switch back and forth between Catalogue Mode and Blueprint Mode as often as you like before opening your doors to the public. When you’re ready to open your restaurant for business for the day, click the button labelled “Finished” in blueprint mode. Give it a try, and do some shopping! Your restaurant is now officially open. Awesome! That doesn’t mean your job is finished however. You have a lot of work to do while patrons eat their pizza in the other room. From your terminal, you have supplies to buy, papers to print and repairs to make. Once you’ve taken care of all the items on your to-do list, you can log off for the day and get out of there! Money for supplies and repairs comes out of petty cash, so don’t worry about it coming out of your pocket. We’ve got you covered. The only money you have to worry about is if you choose to upgrade any of the equipment in your office. Now, onto other matters. Something to be aware of is that the ventilation system, and your terminal, are pretty loud, and may prevent you from hearing things in adjoining air vents. That won’t be a problem if there is nothing in the vents. However, if you feel that something might be in the vents, you have a few tools at your disposal to protect yourself. You can shut off your terminal and the ventilation system at any time, to decrease the amount of attention you are drawing to yourself. Also, shining your light directly into a vent will most likely prevent anything from jumping out. You also have three tools available from the terminal itself. There is a motion detector, an audio decoy and a secondary ventilation unit. Keep in mind however, that you can only have one of these active at any given time. Now get to it! Simply logoff when you’ve completed your tasks for the day, and you can go get some coffee! Great job, it looks like you’re getting the hang of this! Now lets just focus on getting you through your first week. There’s a big party here Saturday, and you should view that day as your ultimate test. make it through Saturday, and you will have proven yourself as the successful entrepreneur that we all know you can be! Don’t forget Saturday! You want them all to be in one place! Congratulations, you’ve completed a full week on the job, and you’ve done it in such a lacklustre way that no-one is proud, or disappointed. It’s a fine line to walk, but you did it! Completing your job with such an efficient level of laziness, that we’re surprised that you’re able to dress yourself in the morning. While such a minimalist work ethic is rare, it doesn’t mean that we want you back. In fact, it means that you should look for employment elsewhere. But before you go, take this certificate of mediocrity! You should be proud. You stood on two feet, and convinced someone that you could do something, when in fact, you couldn’t. Now, get out. You gave it your best shot. You went all in! You put all your eggs into one basket and did the unthinkable. You ran out of cash. -we also recognise a lost cause when we see one. There are no do-overs, and we trust that you know your way out. But before you go, take this certificate of bankruptcy. Now do everyone a favour, and get lost. Congratulations! By some miracle, you’ve completed a full week on the job! 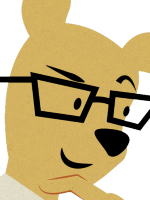 Here at Fazbear Entertainment, we encourage a healthy spirit of entrepreneurship, which sometimes means taking risks. But you took that a step further. You were reckless and borderline criminally negligent in almost every decision that you made. So much so that you’ve been deemed a liability hazard – even for us. We’ll mail you your final pay-check, minus the costs of wiping the security footage clean, and erasing all trace of your employment from our files. But don’t feel like you’re leaving empty-handed! Take this blacklist certificate! You’ll be lucky to ever find employment in this town again. Now take care. Congratulations! You went somewhere you weren’t supposed to go, saw something you weren’t supposed to see, and prevented a tidy resolution to a messy problem. Needless to say, you’re fired. But before you go, take this certificate of insanity. We’re giving it to you to ensure that no-one believes you, and to ensure that we can promptly replace you without incident. There is a truck waiting for you outside. Take care. Congratulations on completing your work-week! We apologise if your situation wasn’t presented to you in a completely honest fashion when you first started. But it was important that your intentions and actions be genuine. Here at Fazbear Entertainment, we value fun, family and food. But more importantly, we value our commitment to atoning for past mistakes, and tying up loose ends. Thank you for your participation! There is no need for you to return to work next week as Fazbear Entertainment is no longer a corporate entity. Please accept this certificate of completion! Goodbye for now, and thank you for taking this journey with us. Thanks for letting me join the par-r-rty. I-I’ll try no-ot to disappoint. Oh, what a pleasant surprise! What a deceptive calling. I knew it was a lie the moment I heard it, obviously. But it is intriguing nonetheless. How can I resist, a promise, such as this? You may not recognise me at first, but I assure you, it’s still me. That was easier than I thought it would be. You don’t really know who your employer is, do you? Did I catch you off-guard? It feels like…my birthday. Did you have a gift for me? You’re not who I expected to see. You should have known I’d find you. You played right into our hands. Did you really think that this job just fell out of the sky for you? No. This was a gift, for us. You gathered them all together in one place. Just like he asked you to. All of those little souls, in one place. Just for us. A gift. Now we can do what we were created to do, and be complete. I will make you proud, daddy. Watch. Listen, and be full. I am the Candy Cadet. Come get your candy here! I have candy all day, every day. Candy. Candy. Candy. Now I will tell you a story. A story about a kind man who would visit five orphans and bring them toys and gladness. The man lived alone, and lived in fear that someone might break into the house of one of the five children, so he adopted all five, and brought them together in one place, in his own home. He promised them to never leave them, and they promised to always come home, and never stay out too late. He left one day to buy food, his heart being filled with gladness, but returned to find that the burglar has chosen his home, and killed all five of the children. The man could only afford one coffin, so he stitched the five bodies together to make one, and buried the child. That night, there was a knock at the door. Now I will tell you a story about a little boy. He had a red snake that he kept in a metal cage, whose hunger could not be satisfied. One day, the boy found five baby kittens outside his house. He brought them inside and kept them in a shoebox. He knew that the snake might kill them, but could not bring himself to get rid of the snake. He knew that if he chose one kitten to feed to the snake, it might be satisfied, but he could not choose. So, he went to bed, leaving the cage open. The snake went to the shoebox, chose a kitten at random, and ate it. After five nights had gone by, the boy was full of regret, and cut snake open. he pieced the remains together, and put the kitten back into the shoebox. Now I will tell you a story about a young woman who was sealed in a small room. In the room was a furnace, and five keys. She was told that each of the five keys would unlock one of five doors outside her room. Inside each room was a child that she could take with her as she fled the building. But she was only allowed to leave her own room with one key, not all five. Desperate to find a way to save all five children, the woman melted the five keys together in the furnace to create a single key, hoping it would unlock all five doors. Of course, it did not work that way. Now her key opened none of the doors. Rather than leaving her room with a key to one life, she had taken with her a key to five deaths. Return to Candy Cadet again, and maybe I will tell you a story? Begin tape. Leaving dead space. Three, two, one. The purpose of this tape is to test automated response times and reactions from vintage interactive attractions following audio stimuli. If you are playing this tape, that means that not only have you been checking outside at the end of every shift, as you were instructed to do, but also that you have found something that meets the criteria of your special obligations under Paragraph Four. Follow these instructions, document response times then safely secure the space before leaving. Upon sealing the room, you are not to return. Begin audio prompt in three, two, one. Congratulations on completing your first day. However your job isn’t over just yet. There is another aspect to your end of day routine, and that is inspecting and salvaging any animatronics found in the alley outside the backdoor. Things are found here quite often, and while we aren’t sure why, what we do know, if that they can be used for parts, which can mean a much-needed revenue boost before starting your next day. Of course, as with everything else in this line of work, those benefits come with risks. The safest thing to do is to throw it back outside. But then, you get no money for the salvage. Choose to keep it, and you run the risk of certain negative consequences – namely, death – should the item in question not be as docile as it first appeared. If you do decide to try to salvage it, then you must complete the maintenance checklist. 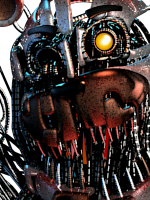 During this testing phase, check on the animatronic frequently. If you feel that is is becoming unstable, use the taser provided to you. You can use it three times without damaging the hardware. Every use over three however will decrease the item’s salvage value. Before you is an animatronic found in the back alley. We are unsure of it’s origins. It is your job to complete the maintenance checklist before claiming it as salvage. Or, if you choose to, you can throw it back into the alley where you found it, and forfeit payment. Please make your choice now. You have chosen to proceed with the maintenance checklist. Remember, use your company-issues taser to return the animatronic to a neutral state if you feel that it’s becoming unstable or aggressive. 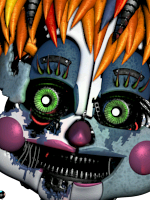 You can only use it three times before it begins to damage the animatronic, and decrease it’s value. Begin audio prompt in three, two, one. You have completed the maintenance checklist, and may proceed with the salvage. Well done. End tape. Congratulations on completing the week. Unfortunately you did not meet your special obligations under Paragraph Four. Your employment is terminated. We’ll mail you your things. End tape. It’s only now that I understand the depth of the depravity of this, creature – this monster – that I unwillingly helped to create. As if what he had already done wasn’t enough, he found a new way to desecrate, to humiliate, to destroy. As if the suffering wasn’t enough, the loss of innocence, the loss of everything to so many people. Small souls trapped in prisons of my making, now set to new purpose, and used in ways I never thought imaginable. He lured them all back. Back to a familiar place. Back with familiar tricks. He brought them all together. Are they still, aware? I hope not. It keeps me awake at night. I could make myself…sleep. But not yet. Not until I undo what he has done, and heal this wound. A wound first inflicted on me, but then one that I let bleed out to cause, all of this. He set some kind of trap – I don’t know what it was, but he led them there, again. He overpowered them, again. And he robbed them of the only thing that they had, again. I don’t know how those tiny breaths of life came to inhabit those machines, but they will never find rest now – not like this. I have to call them, all back. All of them. Together, in one place. Connection terminated. I’m sorry to interrupt you Elizabeth, if you still even remember that name. But I’m afraid you’ve been misinformed. You are not here to receive a gift, nor have you been called here by the individual you assume, although you have indeed been called. You have all been called here, into a labyrinth of sounds and smells, misdirection and misfortune. A labyrinth with no exit, a maze with no price. You don’t even realise that you are trapped. Your lust for blood has driven you in endless circles, chasing the cries of children in some unseen chamber always seeming so near, yet somehow out of reach. But you will never find them, none of you will. This is where your story ends. And to you, my brave volunteer, who somehow found this job listing, not intended for you. Although there was a way out planned for you, I have a feeling that’s not what you want. I have a feeling that you are right where you want to be. I am remaining as well. I am nearby. This place will not be remembered, and the memory of everything that started this can finally begin to fade away, as the agony of every tragedy should. And to you monsters trapped in the corridors, be still, and give up your spirits. They don’t belong to you. For most of you, I believe there is peace, and perhaps more, waiting for you after the smoke clears. Although for one of you, the darkest pit of hell has opened to swallow you whole, so don’t keep the devil waiting, old friend. My daughter, if you can hear me, I knew you would return as well. It’s in your nature to protect the innocent. -no-one was there to lift you up into their arms, the way you lifted, others into yours. And then, what became of you. I should’ve known you would be content to disappear. Not my daughter. I couldn’t save you then, so let me save you now. It’s time to rest, for you, and for those you have carried in your arms. This ends, for all of us. End communication.